Anthem recently announced it is dropping out of Ohio’s Obamacare exchange. This means less choice for Ohioans across the state and no coverage at all for the Ohioans from 18 counties, including Crawford and Wyandot — which no longer have any insurers offering plans on the exchange. Individuals who have bought Anthem insurance plans through the exchange will lose their insurance on Jan. 1, 2018, and for individuals from the 18 counties with no other insurers in the exchange, there will be no options to replace it. The Ohio Department of Insurance estimates that approximately 67,000 Ohioans will lose their plans and 10,500 people will be left with no health insurance options in the exchange. Individuals who are covered through their employers, Medicaid, or Medicare will not be affected. Anyone who is affected and has questions may contact the Ohio Department of Insurance’s consumer hotline at: 1-800-686-1526. We were told that Obamacare would increase access to and quality of health care. This news adds to the mounting evidence that the exact opposite is true. Ohioans have fewer choices and higher premiums, and now those who enroll right here, in our part of the state, have no coverage at all under Obamacare. Requirements that insurance plans must cover essential services make no difference when they drive insurers out of the market entirely. For many Ohioans, a promise to cover essential services has now led to no health insurance coverage at all. Worse still, Ohioans are still legally mandated under Obamacare to purchase a product that the very same law has driven from the marketplace! Those who continue to be trapped in the death spiral of the Obamacare exchange are subject to increasing premiums and deductibles that make it not affordable. In short, higher costs, less coverage, diminishing access, and impaired quality. There is a better way to improve healthcare in America than through government regulations and mandates. Individuals, families, and health care professionals—not government—make the best health care choices. Earlier this year I introduced a resolution calling on Congress to fully and completely repeal Obamacare. They must act now to provide needed relief to Ohioans from this disastrous law. Once the federal government restores power to the states and individuals, we can make market-based reforms that open up the healthcare and health insurance markets to encourage competition, drive prices down, improve quality and innovation, and put you back in charge of your own health care choices. 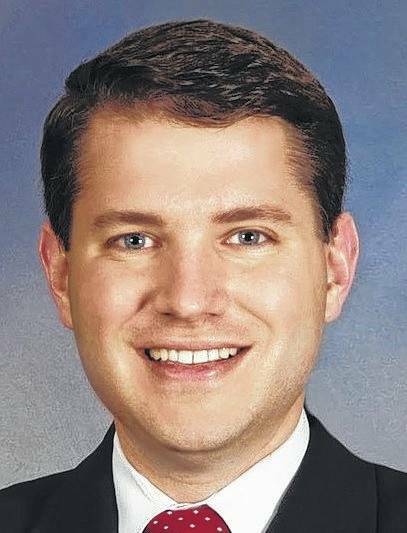 Wes Goodman is the state representative for the 87th District of the Ohio House of Representatives. He is a Republican. The district consists of Crawford, Morrow, Wyandot, and portions of Marion and Seneca counties. Contact him at 614-644-6265.